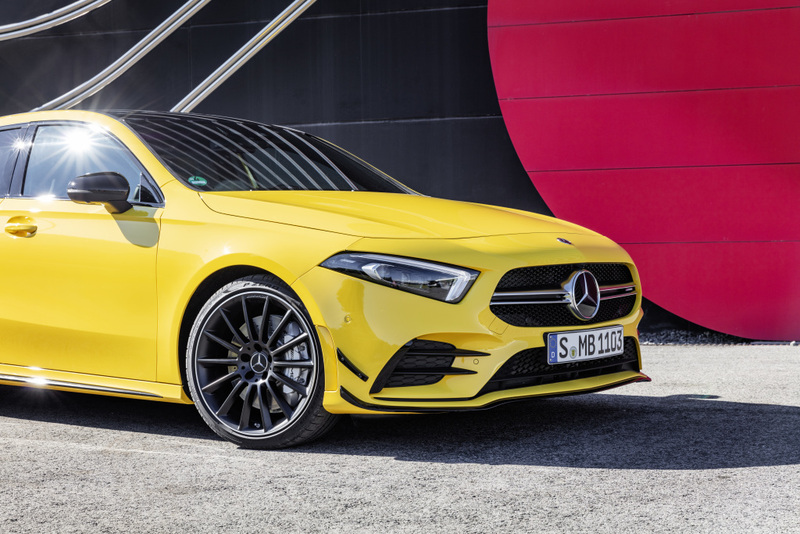 The new Mercedes-AMG A35 has finally been revealed. 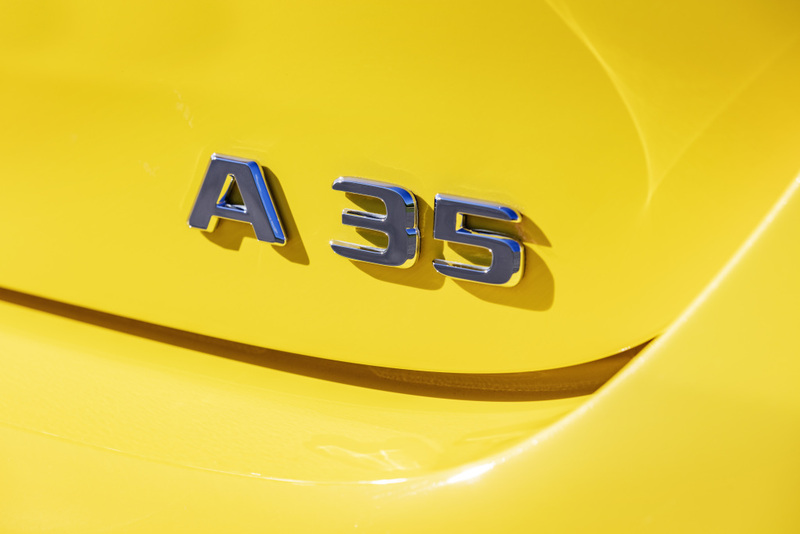 The “A35” moniker hadn’t been used by Mercedes since 1997. 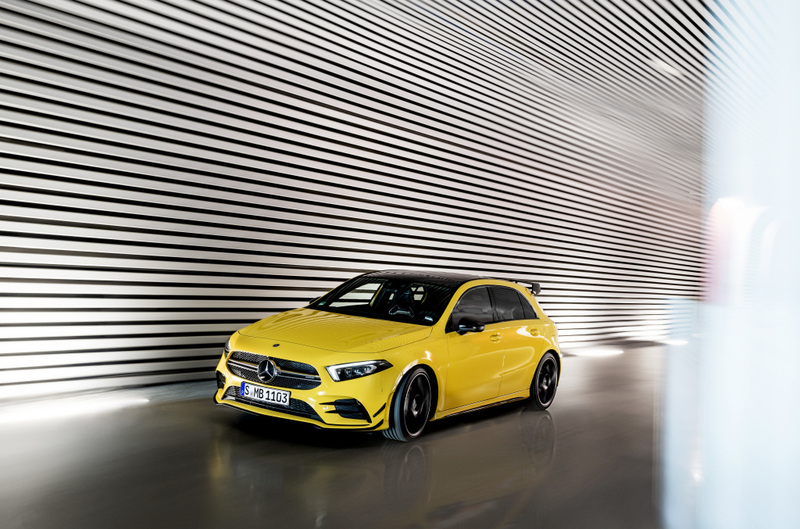 The A35 is the A-Class’ first entry into the AMG lineup. 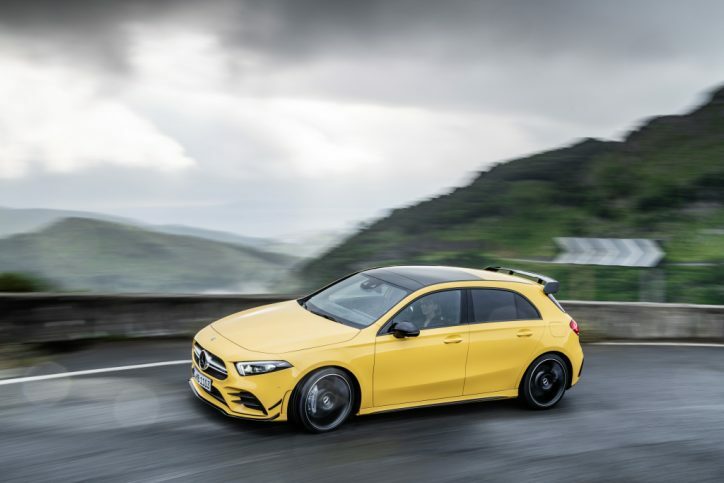 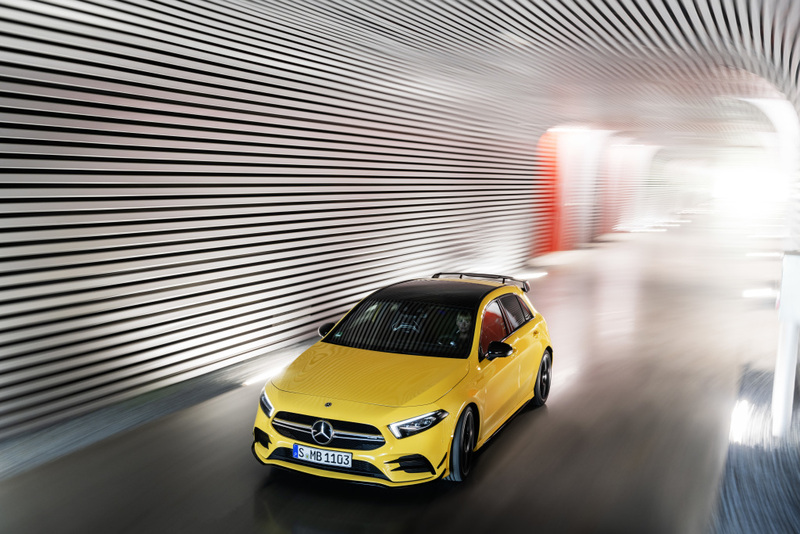 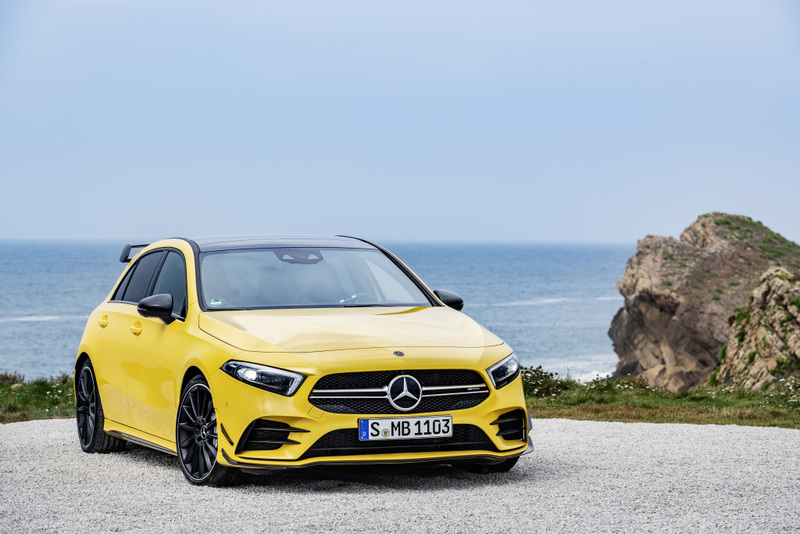 This model of the hatchback sits between the Mercedes-Benz A250 and the Mercedes-AMG A45. 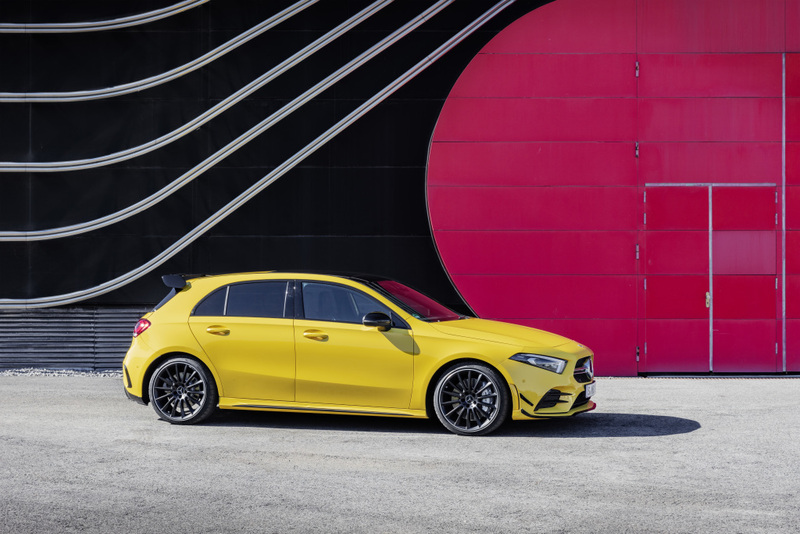 The AMG A35’s exterior design is a slight step up from the styling of the standard Mercedes-Benz A-Class. 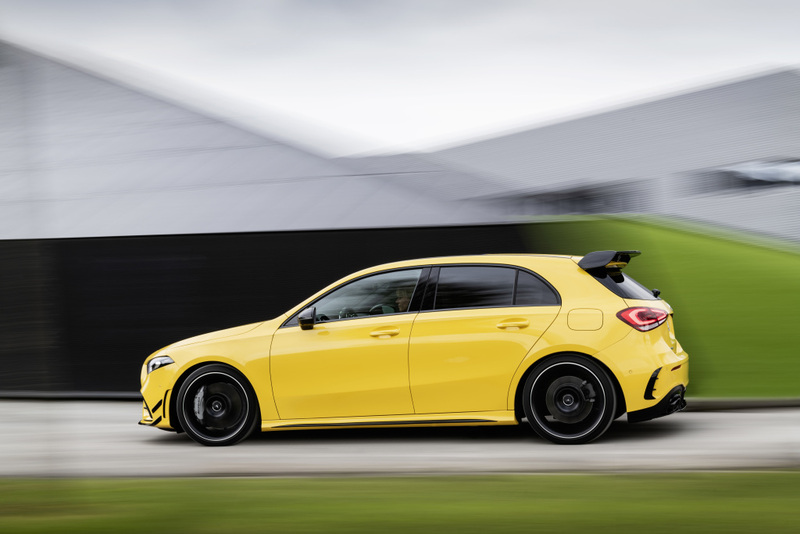 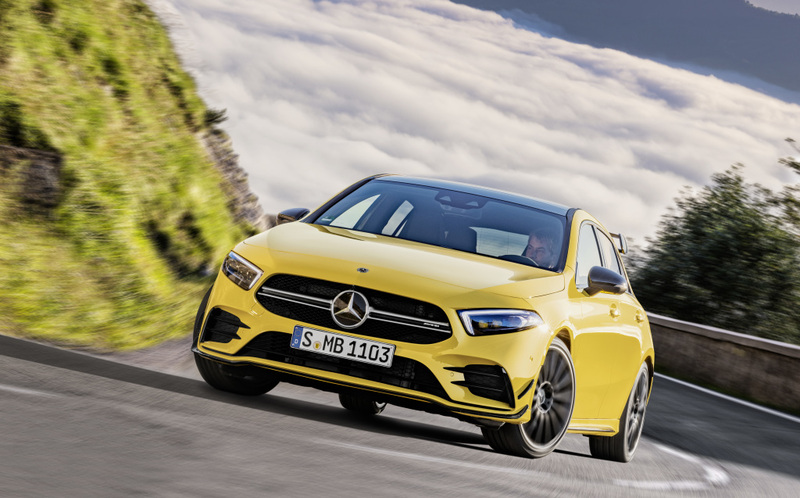 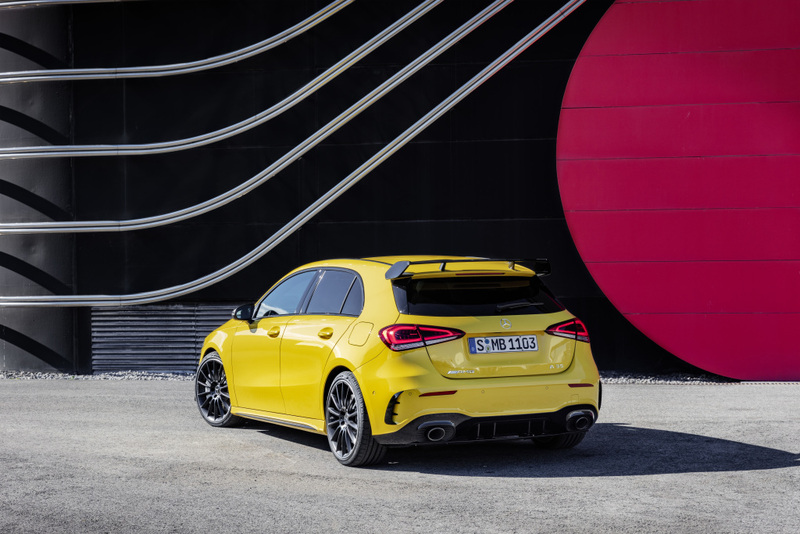 The entry-level model of the hatch in the AMG line has a more prominent front lip spoiler, flics on the air intakes, winglets on the sides of the front bumper and rear roof spoiler. 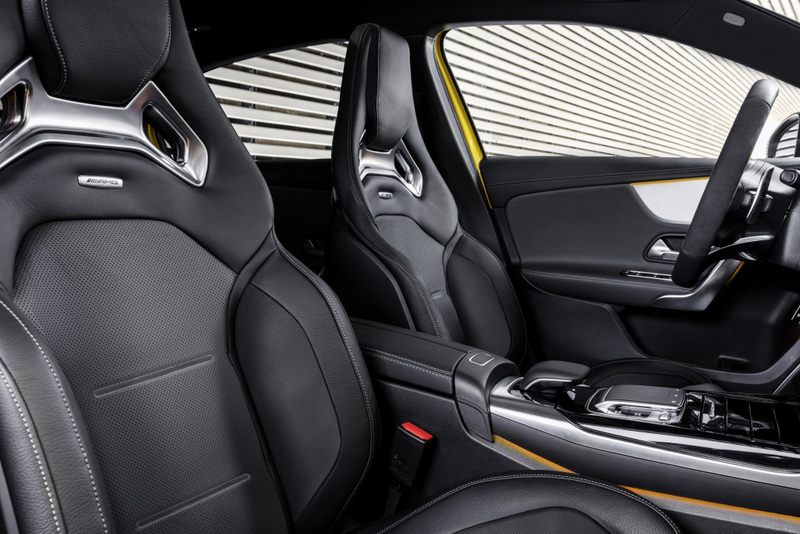 The interior of the auto is highlighted by seats wrapped in either Artico leather or Dinamica microfiber. 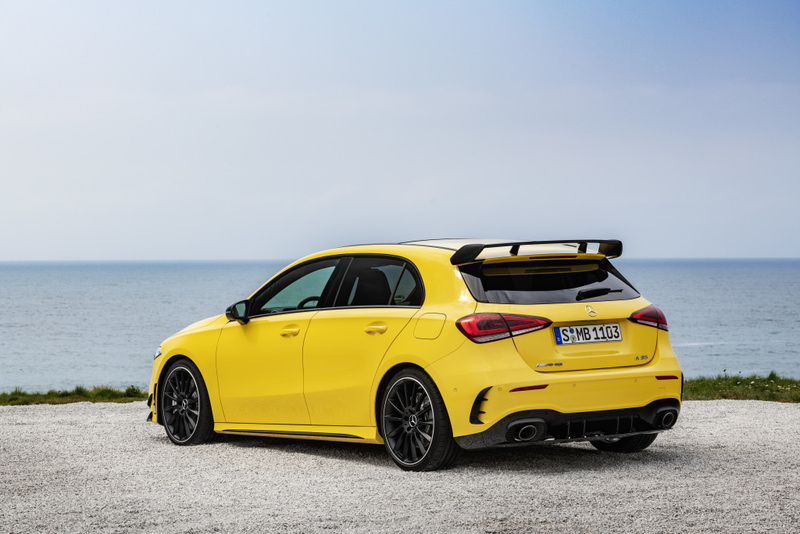 The choices for the covers are black and Digital Grey. 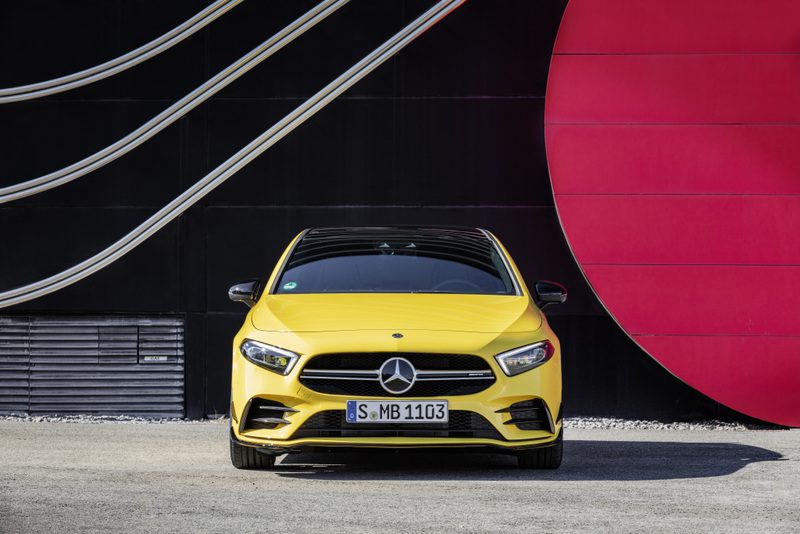 These are adorned by red stitching. 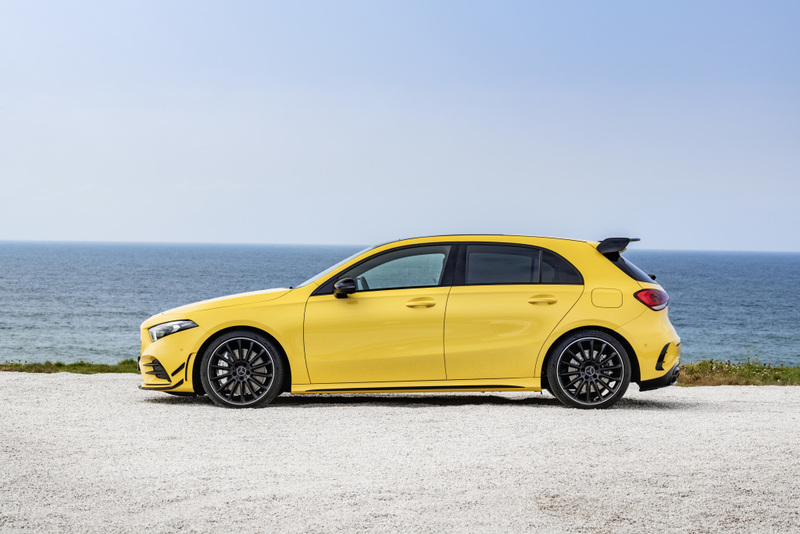 The cabin of the car also gets the sporty AMG steering wheel and pedals. 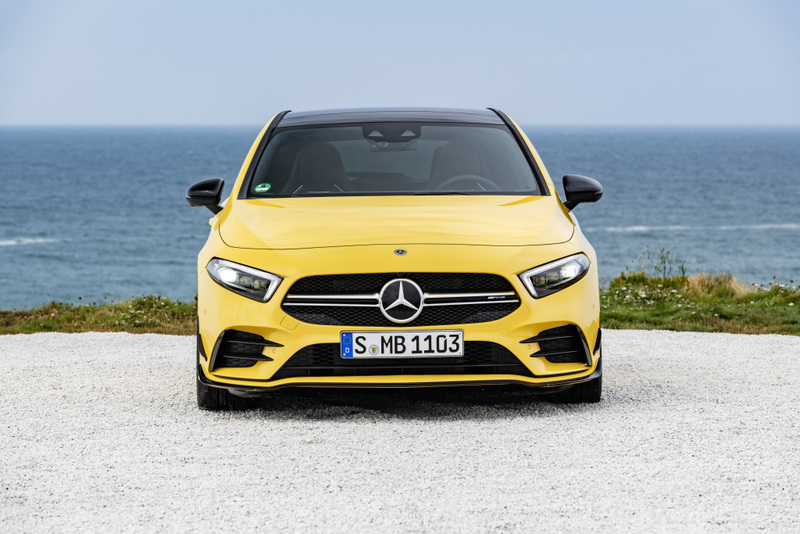 Like the standard Mercedes-Benz A-Class, the AMG A35 has a pair of displays measuring 10.25 inches each with the MBUX multimedia system. 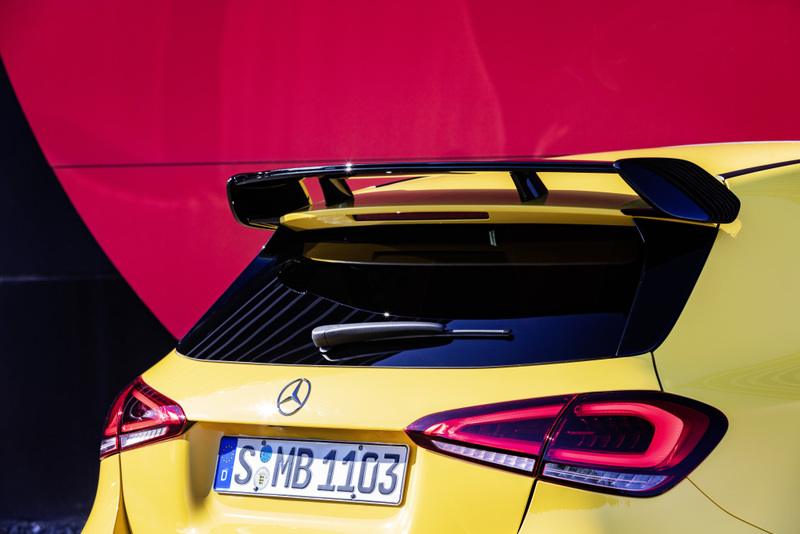 Furthermore, it possesses a wing-shaped dashboard and turbine-inspired air vents. 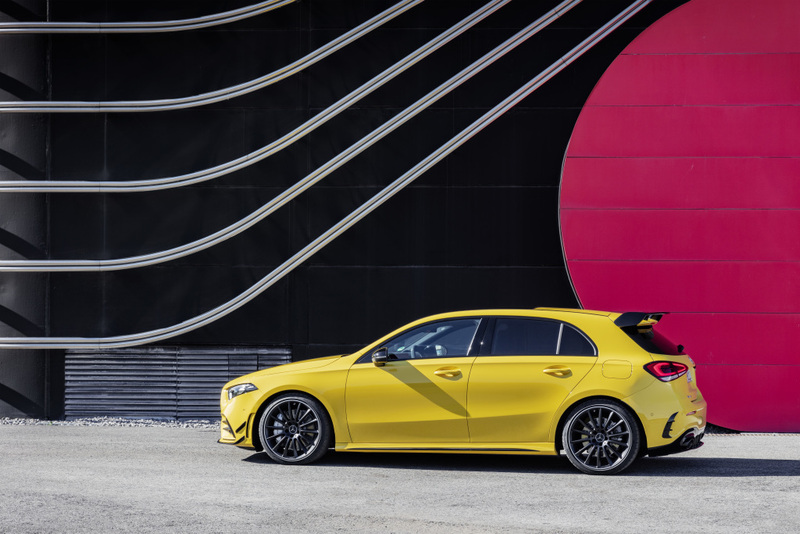 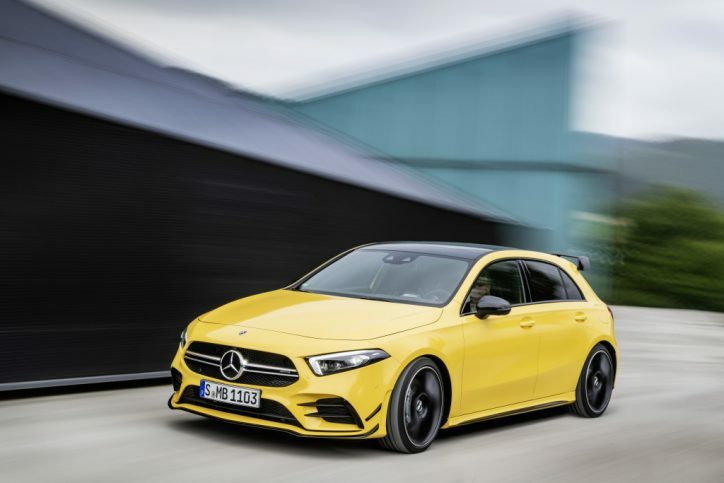 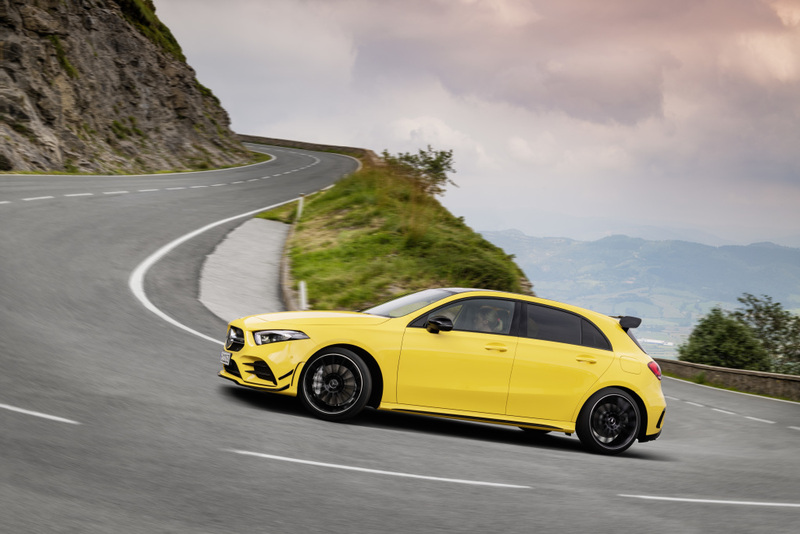 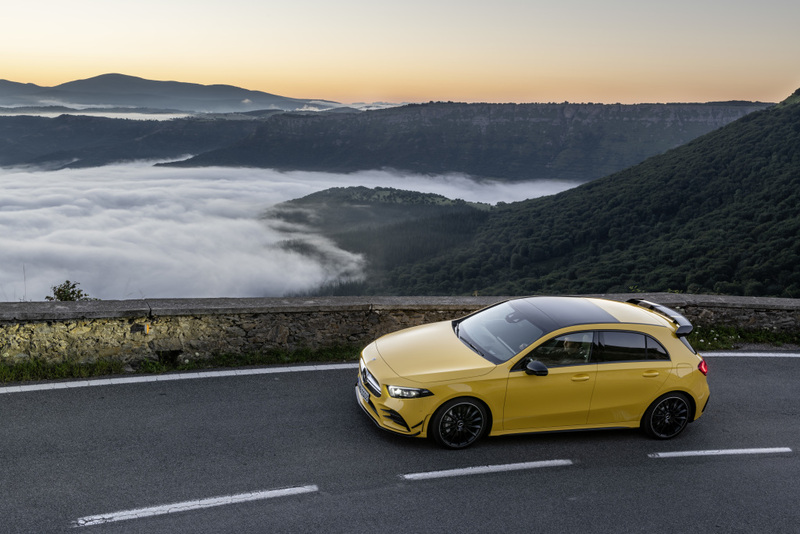 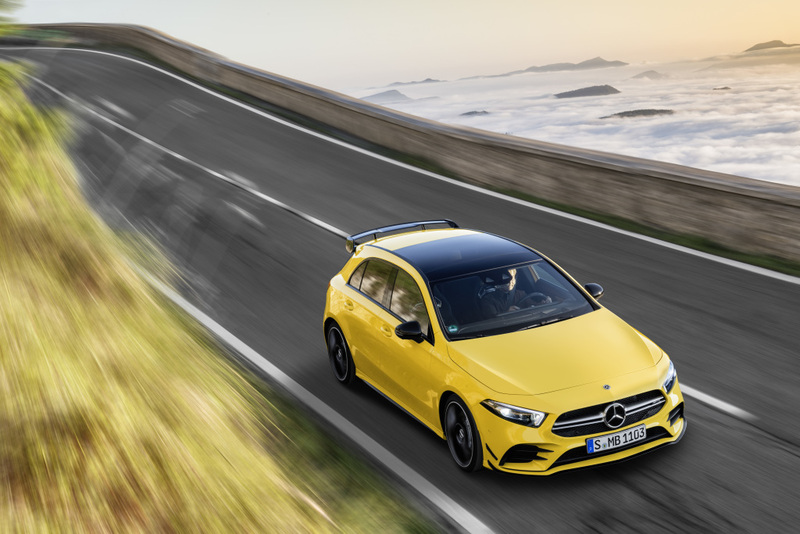 The AMG A35 is powered by a 2.0-liter turbocharged four-cylinder engine. 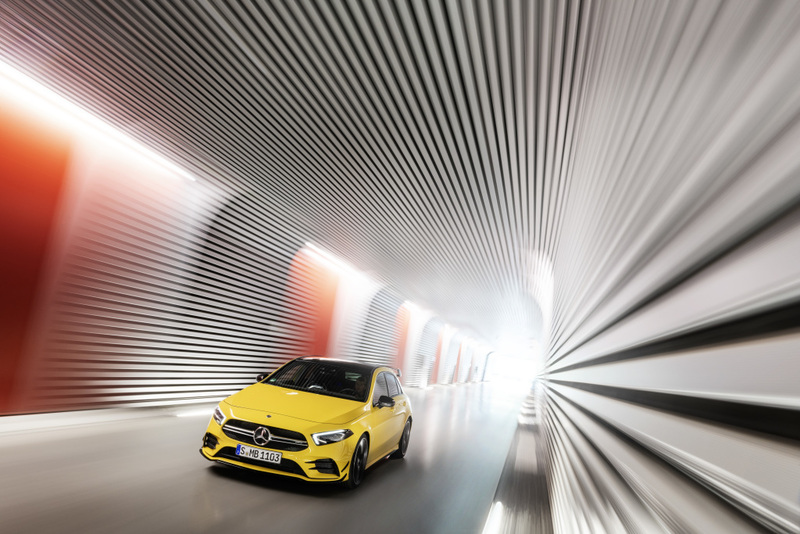 The unit provides 306 hp and 400 Nm of torque. 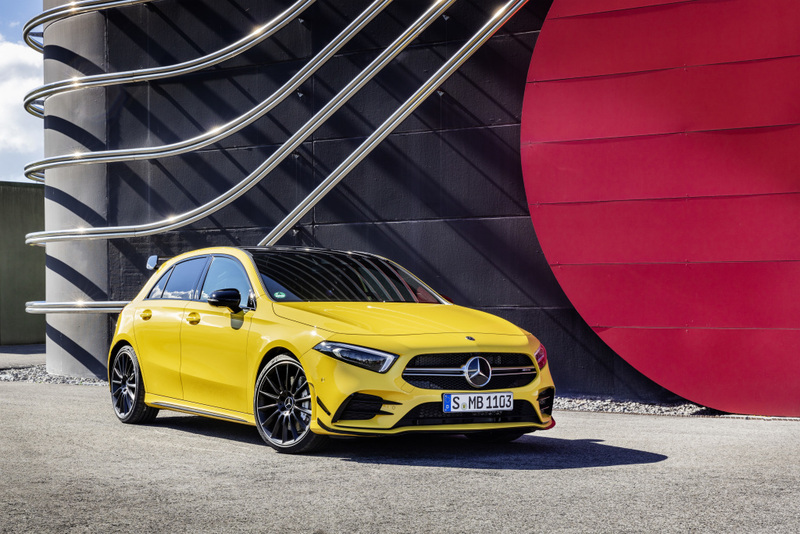 It comes with a 4MATIC all-wheel-drive system, and the output is distributed via a seven-speed automatic transmission. 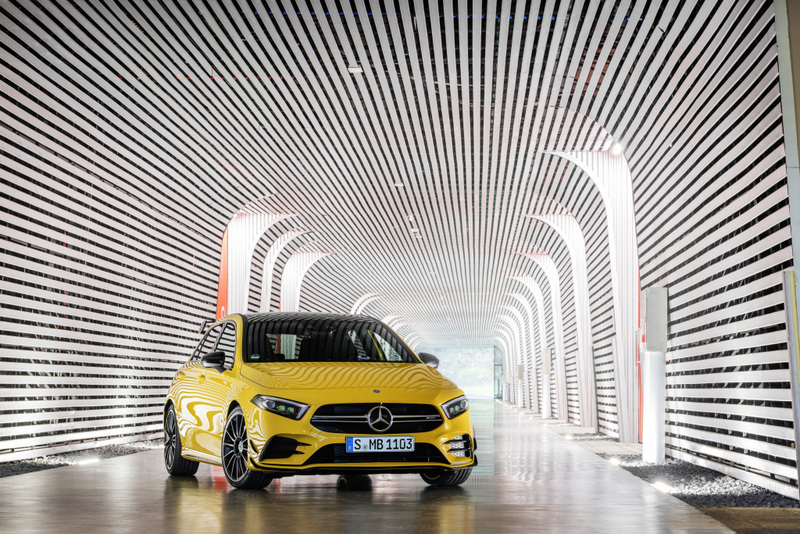 The configuration of the car lets it reach an electronically-limited top speed of 250 km/h. 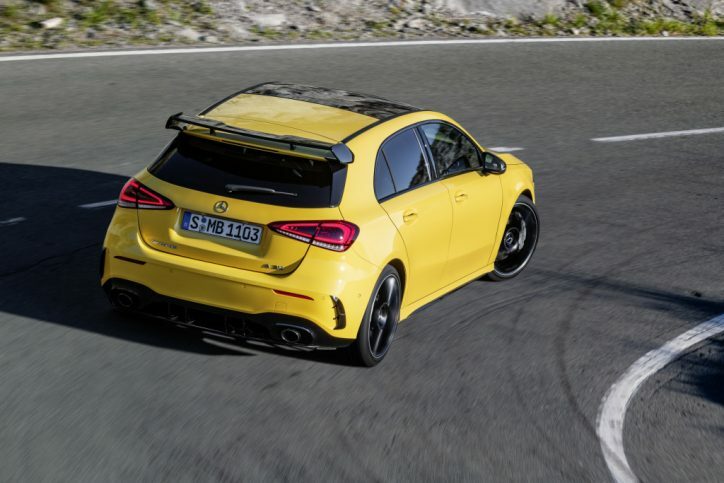 Meanwhile, its acceleration from 0-100 km/h can be achieved in just 4.7 seconds. 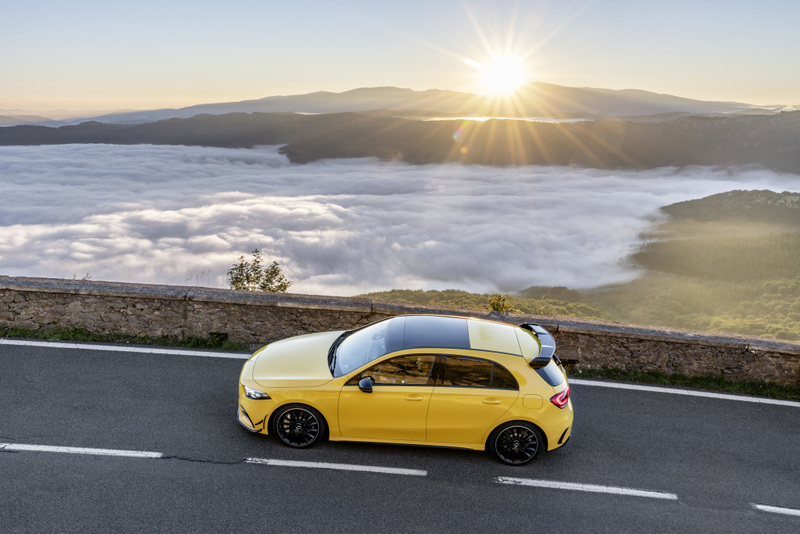 The AMG A35 has a combined fuel consumption of 7.4-7.3 l/100 km and combines carbon dioxide emissions of 169-167 g/km. 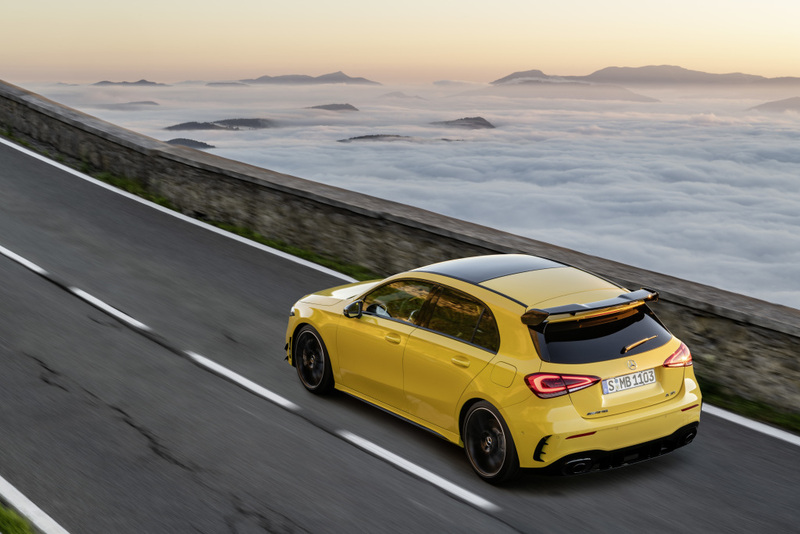 The high-performance hatch got a D rating from New European Driving Cycle (NEDC) in terms of efficiency.